It is well known that the Nazi regime denounced modernist art as “degenerate”, but not so well known that the Third Reich also proscribed “Entartete Musik” or “degenerate music”. Another name for this was jazz. It makes complete sense, therefore, that the most renowned of American jazz recording companies – Blue Note Records – was founded by refugees from Hitler’s Germany. via Blue Note: Uncompromising Expression – 75 Years of the Finest in Jazz by Richard Havers, review: ‘lavish, brilliant photography’ – Telegraph. 07 Nov	This entry was published on November 7, 2014 at 9:32 am. 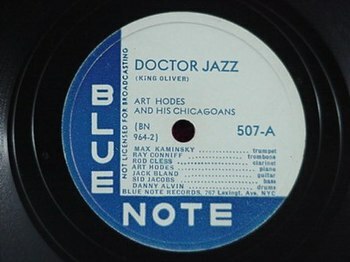 It’s filed under Article and tagged American Jazz, Bauhaus, Blue Note Records, Cartier-Bresson, Entartete Musik, Weimar. Bookmark the permalink. Follow any comments here with the RSS feed for this post.